Can I reprogram my foot pedal? No. 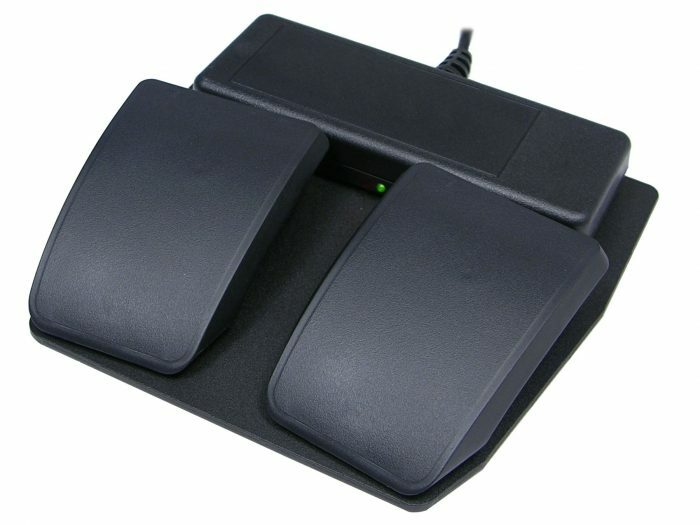 The JSB family of foot pedals on performs joystick button actions. If you require a pedal that performs mouse or keyboard actions you’ll want the Kinesis Savant Elite2. Are there special drivers for the JSB foot pedal? No, the JSB pedal uses standard HID drivers. Why isn't my pedal working? JSB foot pedals send standard joystick button commands. If the pedal is not working as intended, more often than not that is a result of your computer or software not recognizing joystick button commands. For the pedal to perform a function on your computer, the active application must be one that recognizes joystick button commands as an input. In some cases, specialized applications like those for imaging or transcription can be programmed to trigger software events in response to joystick button commands.